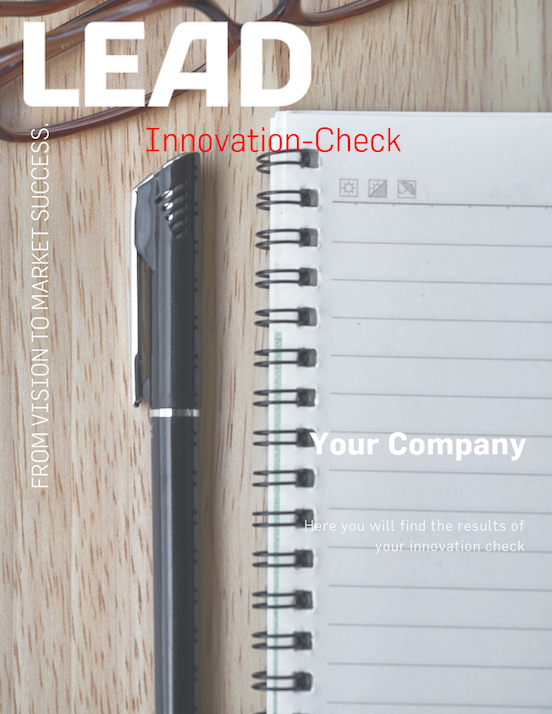 The maturity level of your innovation management is assessed in 30 minutes. Would you like to know at what stage of maturity your innovation management is and what the next steps could be? Innovation strategy, innovation processes and methods, structure, innovation culture. Would you like to do the innovation check? You have the possibility to do this by phone or online. Please use the form - we will send you an e-mail as soon as possible. You will then receive the evaluation and recommendations for action. Please note: For companies with more than 500 employees, the Innovation Check is free of charge. Otherwise, we will charge a handling fee of EUR 349,-.